New year congratulations and tributes to the 60th anniversary of the Cuban Revolution have been posted from around the globe — e.g., from the National Network on Cuba (NNOC), the African Awareness Association, Let Cuba Live, the Republic of South Africa, Vietnam, Puerto Rico, and elsewhere. 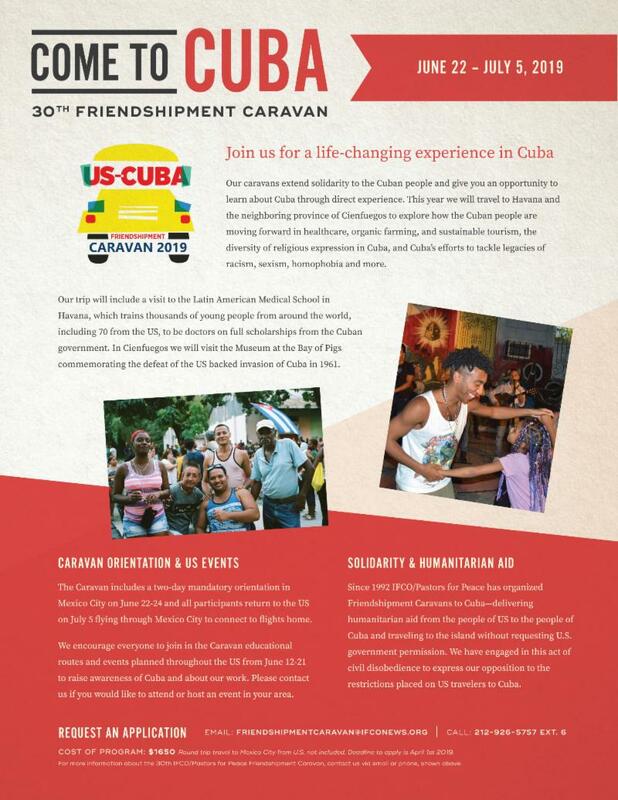 There are celebrations occasioning the 50th anniversary of the Venceremos Bridge and invitations to join it in July — vb4cuba.com — and for IFCO/Pastors for Peace’s 38th Friendshipment Caravan also in July. Mixed with these announcements, Havana was hit at the end of the month by a destructive tornado (note the link for support) — and foreboding reports about Venezuela. What makes the Venezuela reports so worrisome is the complicity of so many seemingly progressive voices in U.S. aggressive militarism and avoidance of U.S. responsibility for the country’s destabilization. FAIR (and more generally here), Democracy Now, NACLA have been especially informative in both providing thoughtful and detailed analyses of media complicity in U.S. aggression as well the on-going struggles there. Notable is the special February 4th weekly Resumen Latinoamericano English Edition (on Instagram, Twitter and Facebook as well as at resumen-english.org), issue 302, devoted entirely to Venezuela.